Apple released 8-core and 10-core the iMac Pro in late December 2017, and promised the 14-core and 18-core models would ship in early 2018. 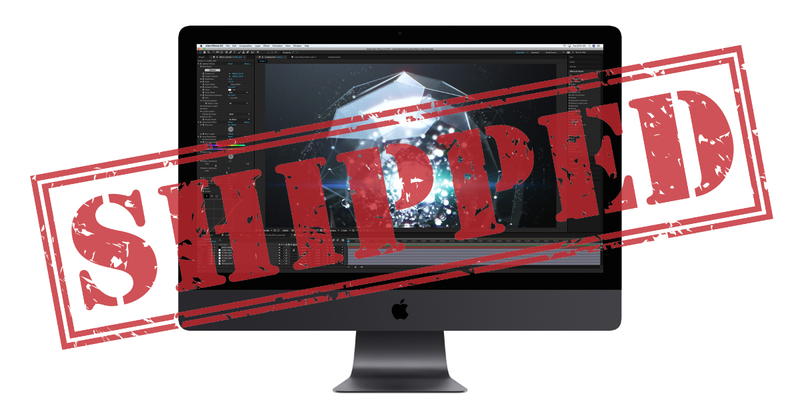 “Early” turned out bo be February because now every iMac Pro configuration is showing as delivering by February 19th. The standard 8-core configuration delivers within a couple days of order. The 10-core, 14-core, and 18-core configurations are all showing a two-week delivery date. iMac Pro is Apple’s powerhouse all-in-one desktop workstation with multi-core Intel Xeon processors, up to 128 GB RAM, AMD Radeon Vega graphics, up to a 4TB SSD, Thunderbolt 3 ports, 10 Gb Ethernet, and a Retina 5K 27-inch display. Pricing starts at US$4,999 for the 8-core configuration and tops out over $13,000 for a fully loaded 18-core setup. The 8-core iMac Pro is available in Apple’s retail stores now, and online orders for in-store pickup are showing a two-day delivery.